Vail Chalet is a gorgeous home chalet rental with stunning, luxury accommodations. With spectacular views, 4 bedrooms and 4.5 baths, this beautiful home was designed and constructed with the finest materials including heavy timbers, copper, stone, and a massive floor-to-ceiling fireplace. This project was hired by Reconstruction Experts, Inc. to reside the property, waterproof the decks and mason the decks. 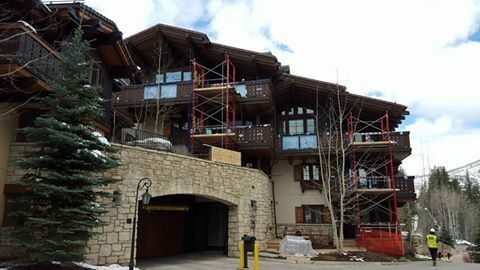 We’re incredibly excited to help make contributions to a very special place in Vail!